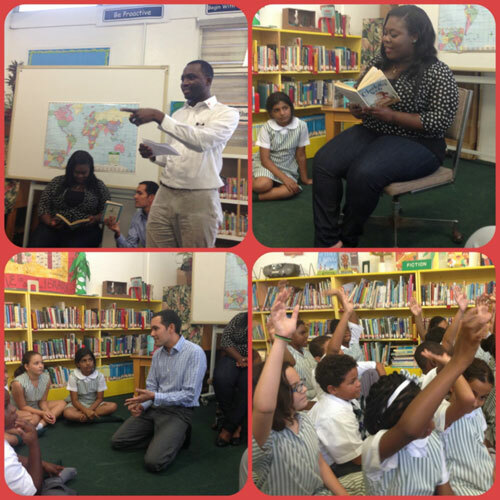 On Monday, September 7, 2015 in celebration of International Literacy Day, The Rotaract Club of East Nassau partnered with the Brighter Bahamas Foundation to hold a book reading with the EarlyAct Club of Queens College. The Brighter Bahamas Foundation was created to promote literacy in the Bahamas with a focus on young children. Their mission is to improve the lives of all Bahamians by encouraging reading from a young age and ensuring universal access to children's literature. It was an interactive service event as members read excerpts from Charlotte’s Web and discussed with the youngest branch of Rotary why education and literacy are important. The Brighter Bahamas Foundation also donated books to the Queens College library. On Saturday, September 19, 2015, the Rotaract & Rotary Clubs of East Nassau held a wine tasting at 1er Cru. This event was open to the public to promote membership and provide more information on Rotaract & Rotary. It was a great night for fellowship and networking while sampling great wines.